"Photographers with little or no computer experience, and computer users too, will find this unique `how to' book essential reading on using a computer to make high-quality photographs. The book explains how an image is entered into the computer via video camera, videotape or electronic scanner; how the image can be manipulated and enhanced; and how the final image is transferred onto film or paper. Step-by-step instructions take readers through the process of creation of the visuals reproduced in the text. An extensive source section provides information on manufacturers, equipment, and services." --the publisher. Some aspects of photography remain a constant. The human element has always been of greater relevance than the equipment being employed, no matter what the equipment. But the times they are a-changing, and the electronic manipulation of photographic images is a hot topic that is getting hotter. 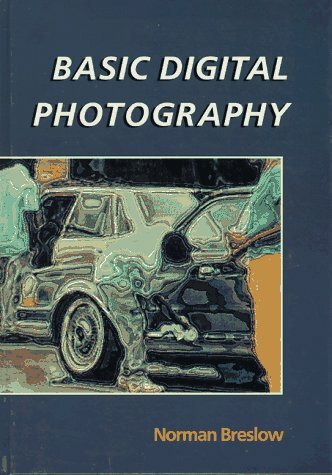 Norman Breslow, who has developed a series of computer programs for use in digital photography, provides an authoritative introduction to the subject. This lucid text covers computer basics, graphics boards, video input devices, scanners, software, and darkroom magic; it also includes a helpful glossary. The book should be updated regularly to keep pace with this fast-changing field.